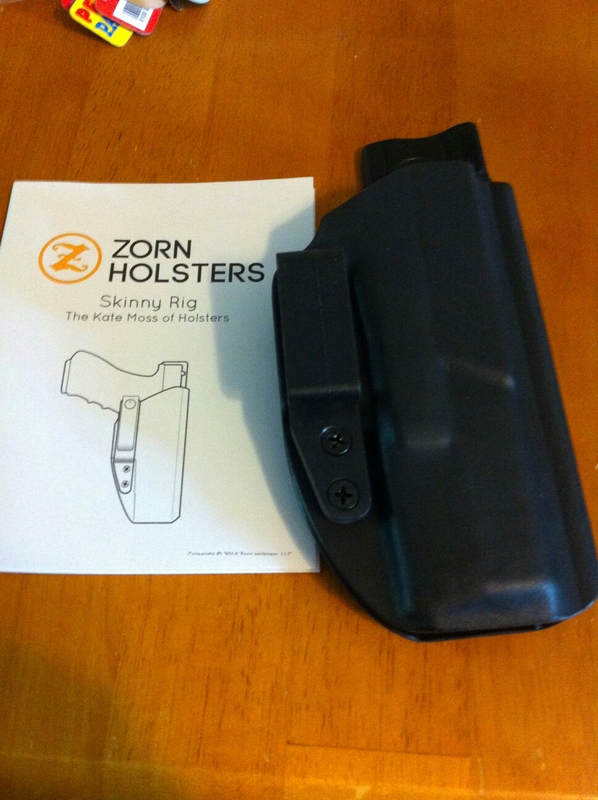 Zorn Holsters describes their Skinny Rig as the Kate Moss of holsters. I’d come up with a different metaphor myself, but that one seems pretty accurate. The Skinny Rig is a slim fold-over style kydex rig with an offset belt loop–the user can choose from a polymer clip or a strut/soft loop combo to keep the rig secured to his or her belt. It’s simple in construction but includes features that other minimalist holsters might lack, such as adjustable retention and complete coverage of the pistol’s slide. 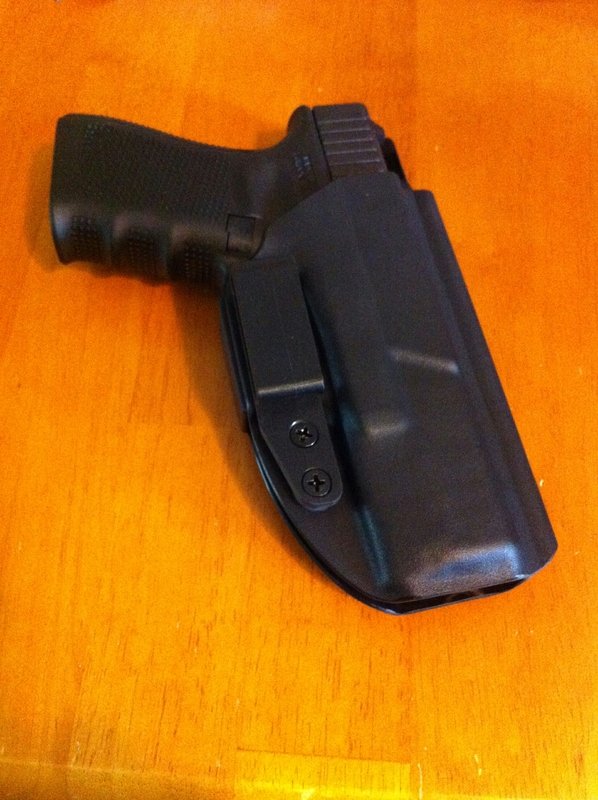 Zorn Holsters sent me a rig molded for Wilma, my G19, with a 1.5-inch polymer clip and full sweat shield. The holster came professionally packaged in a ziptop bag containing a user guide and warranty card, fully explaining the rig’s features and possible adjustments. Sleek and comfortable, the rig helped me start carrying my Glocks again after multiple abdominal surgeries. Retention is the first aspect I critique on any new holster. My department wouldn’t like to hear about my roscoe hitting the floor because I was using an inferior rig. And while the holster from Zorn might be skinny, it’s big on retention. The holster has an audible and tactile click when the weapon is inserted, and this positive retention is very confidence inspiring. There’s no second-guessing if the gun is secured or not–once it clicks, I know it’s staying put. Of course, any holster must then submit to my very scientific shake test. I turn the holster upside down and shake. Wilma stayed firmly seated in the holster. While I like solid retention, I don’t want to wrestle with my holster when its time for Wilma to enter some gunplay. The Skinny Rig allows smooth draws, requiring a simple, straight-up motion to release the pistol. Even under a cover garment, I was able to achieve very fast draws with the holster. After a few hundred practice strokes, the holster maintained its click retention and smooth presentation. Comfort is the final deciding factor for any holster I use. While I don’t expect any rig to feel like a memory foam pillow stuck in my waistband, I definitely don’t want it to feel like a brick either. I was very surprised at how comfortable I found the Skinny Rig. Due to Crohn’s disease and lots of surgical complications, I’ve undergone six abdominal surgeries, leaving me with a lot of scar tissue down the middle of my abdomen and two drains on my right side. Due to the drains, I am unable to carry in a true appendix position. I had to use the Skinny Rig in a midline or semi-crossdraw position. While this hindered concealment to an extent, I found the holster to be very comfortable is this position. I am able to wear the holster all day without discomfort, even during the seven-plus hour drive to Mayo for my checkups and treatment. After being restricted to pocket or off-body carry for so long, it was very comforting to once again have a solid pistol mounted at my waistline, and the Skinny Rig allowed me to carry without adding discomfort. I am usually not a fan of sweat shields on holsters, as I find them to usually be in the way or uncomfortable. Not so with the Skinny Rig. The edges are smooth and rounded, and it’s cut to allow a solid grip on the pistol before drawing. The shield prevented my undershirt from getting caught while holstering, and it kept the slide from pressing into my already-abused stomach. Zorn Holsters sells the Skinny Rig for $49 and up, and they keep a list of in-stock Skinny Rigs that are ready for quick shipping. 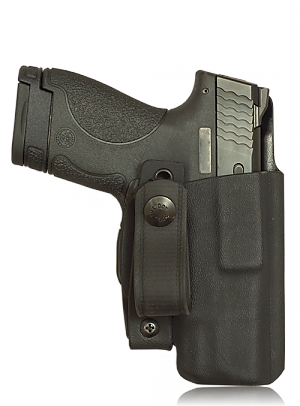 The holster is as professional a rig as you can find, with expert molding and finishing. 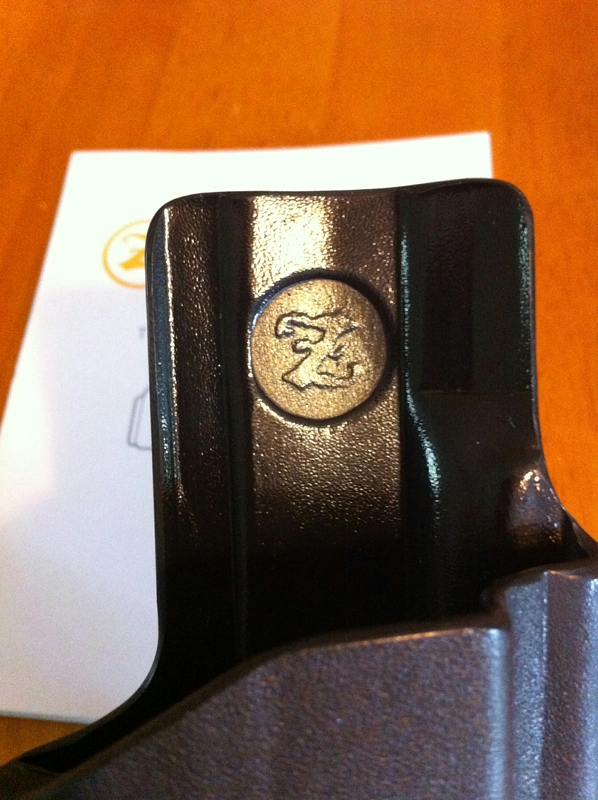 There are lots of good kydex benders out there, but Zorn Holsters seems to be among the best. Put them on your short list for sure.